In 1997, as returning university student, Cork Graham was in one of the first online journalism classes in the country. Back then, the technology wasn't up to snuff for what types of communications envisioned of what would become the new "online journalism". That has all changed. Cork's Outdoors was a pet project started as Cork realized the thinning and shrinking of traditional print outdoor magazines. 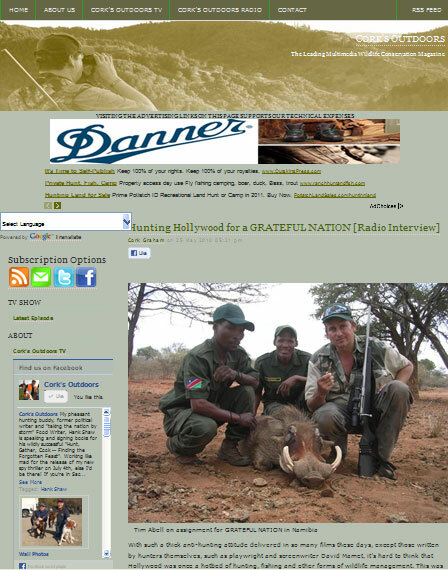 He covers wildlife conservation, wildlife management, hunting, fishing, travel, and cooking. The information is delivered via text, and online radio and TV. 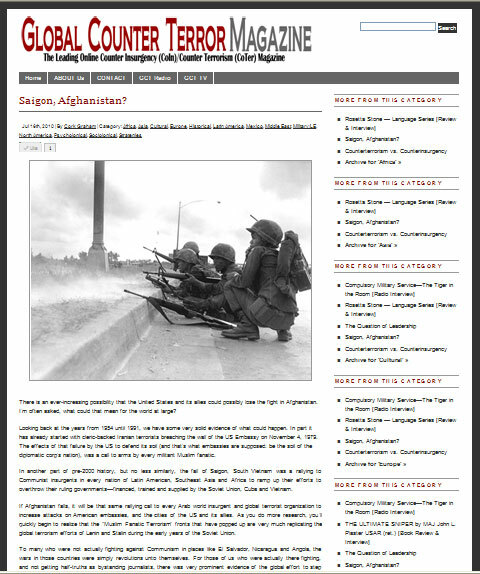 Global Counter Terror (GCT) Magazine brings Cork's knowledge of counter-terrorism and counter-insurgency to the military and law enforcement audience. He also frequently interviews contemporary authorities on a variety of subjects. The information is delivered via text, and online radio and online TV. 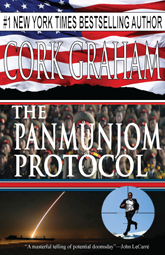 The Panmunjom Protocol, on sale February 15, 2012!